Where exactly is it located in Wpg.? 433 Main Street, suite 400. Get your passport photos taken first in the basement, then with the pics, head up to suite 400.
can I get a passport the same day? No appointment necessary. Just show up at 433 Main Street, suite 400,with you passport photos already in your hand. You can get the pics taken in the basement. No, cannot get passport same day. You can ask them to put a RUSH on the passport, and then you'll get it in around 4 days. They'll tell you when it'll be ready. How long it takes to get traveling documents? it's beside OPERA Lounge on Main & Bannatyne. theres meter parking right in front of the building. was just there Wed morning, and was in and out within 15mins! will be mailed the passport within 3 weeks. 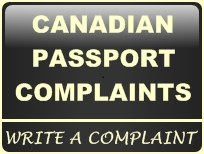 I live in the USA and want to renew my Canadian passport while I'm visiting in Winnipeg MB for 2 weeks. If it takes 3 weeks to receive, I'd have to have it mailed to my home in the States. Do they take my original passport when creating a new one? If so, how would I be able to get back into the USA without a passport? If you live in the U.S., you have to mail in your passport. You can't travel between the two countries without it. Which means you have to stay home in the U.S., and mail your Canadian passport. If you'll be in Winnipeg for sure for 2 weeks, you can bring it into the Main Street office at 433 Main street, and tell them you want it rushed. You'll get the new passport back within a few days, but you have to pay a bit extra of course. No, not at all. When you arrive there's a bunch of seating. You pull a number, take a seat, then wait for your number to be called. you can't just get a picture taken and go upstairs ... you need to have a Guarantor sign the pictures and your documentation so get that all done prior to going and you can fast track yourself when you get there as it is all in order.